The Thyssen-Bornemisza Collection Foundation is a public foundation that was created in 1988. It is responsible for the management of the museum, the conservation of its works, carrying out research, organising public exhibitions and promoting the artworks that were acquired by the Spanish State in 1993. Since 2004 it has been responsible for the Carmen Thyssen-Bornemisza Collection that is on long-term loan to the Spanish State and for the expansion of the Villahermosa Palace. Since the museum opened its doors to the public in 1992, it has offered an increasingly varied number of temporary exhibitions, educational events and cultural and commercial activities. 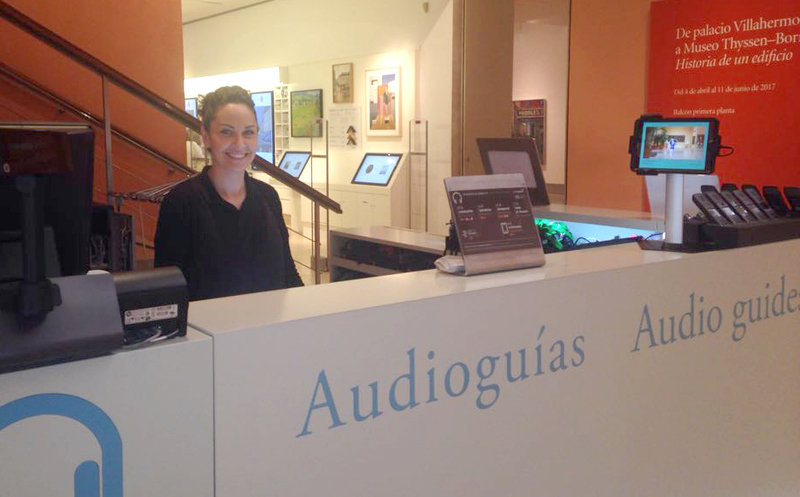 The team that ensures the smooth running of the museum has increased continually over the years. However it is each team member’s vision and drive that carries the museum forward. The museum has always emphasised its goal of promoting its collection by organising various events and programmes aimed at different audiences. This continues to be a key objective together with ensuring that we offer quality and innovation to our visitors and partners. The museum's strategy is to achieve a streamlined administrative management by maximising income whilst controlling the necessary expenses involved in carrying out an extensive cultural offering. We also guarantee the excellent condition of our exhibitions rooms and the maintenance and quality of our facilities and services. With our transparent and efficient management we are committed to being a leading example of a Spanish cultural institution. The foundation is governed by a board of trustees, the highest governing body, made of up to twelve members: four senior officials within the Ministries of Culture and Finance (active or retired), including the Minister of Culture, who is also the President of the Board; four trustees appointed by the Council of Ministers by Royal Decree (i.e. government patrons); and four trustees chosen by the Thyssen-Bornemisza family, including the Baroness Thyssen-Bornemisza, who holds the lifetime position of Vice-President.